Bay Royal’s 1 bedroom apartment (Apartment 4) offers a sumptuous experience of indulgence and luxury. Decorated in rich, opulent tones this self-contained apartment features a fully equipped kitchen and laundry, and comfortable dining and living areas complete with cable tv. 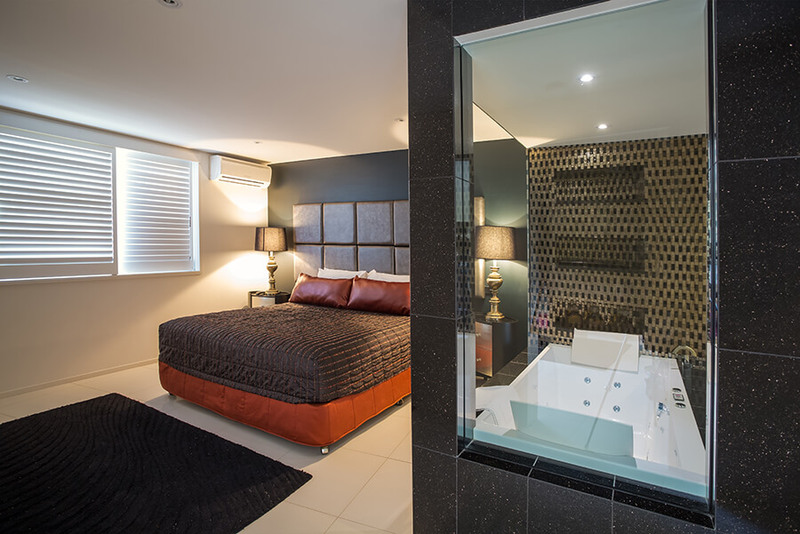 The plush king-size bedroom adjoins the opulent bathroom with a glass sided luxury spa bath. This ground floor apartment has a spacious courtyard across the road from Byron’s main beach and is furnished with daybeds and a BBQ. Bay Royal features a resort styled swimming pool as well as a full-sized tennis court for your holiday fun. 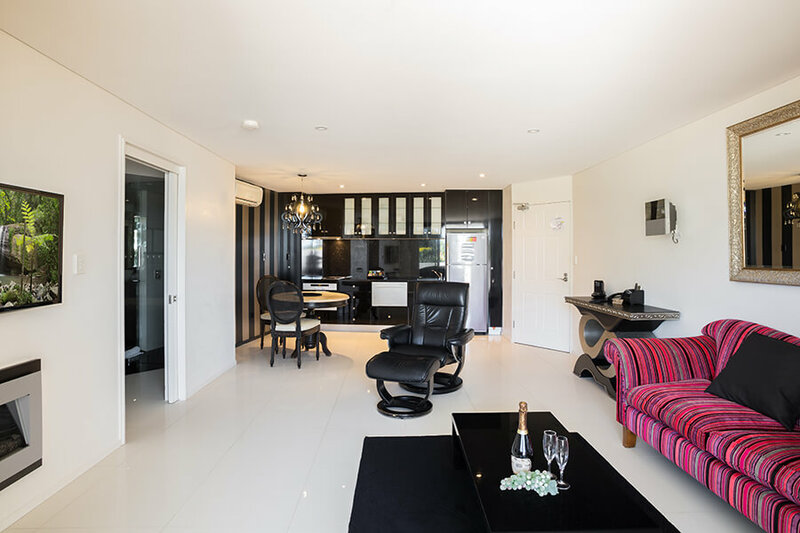 Located in the heart of Byron Bay town centre, Bay Royal Apartments offer an affordable stay where you can experience the best that Byron Bay has to offer.